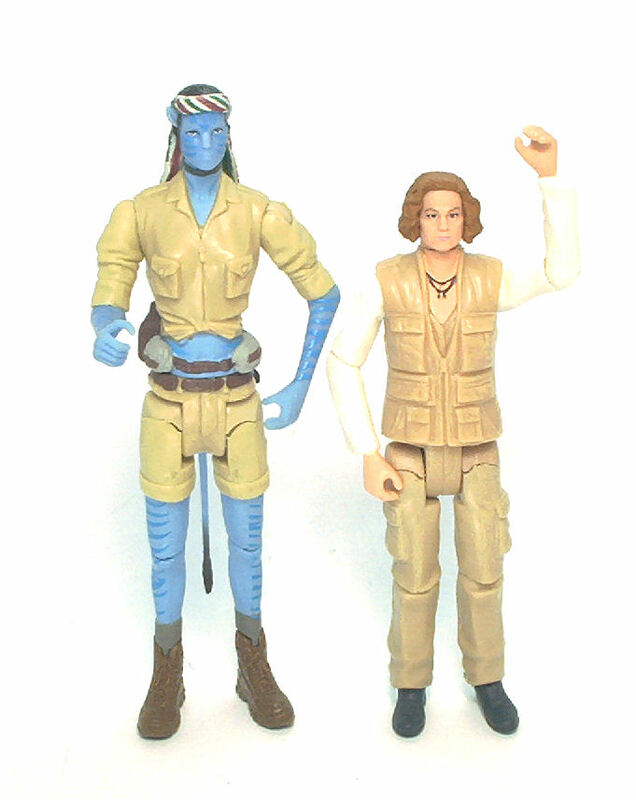 Dr. Grace Augustine is head of the Avatar Research Program at the Hellgate RDA installation on Pandora, and this figure by Mattel represents her in her original human form. 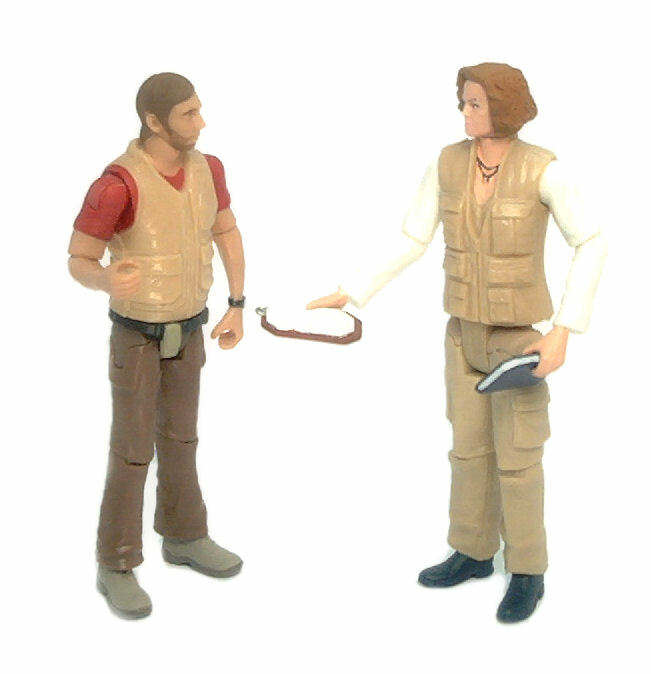 Similarly to her Avatar version, Grace Augustine comes dressed in khaki expedition attire, although here the approach is way less risqué, since her attire consists on baggy cargo pants, a vest full of pockets and sensible footwear. This version of Grace is a lot more demure than her Avatar, a point driven home by the fact that the RDA Grace doesn’t look particularly feminine. 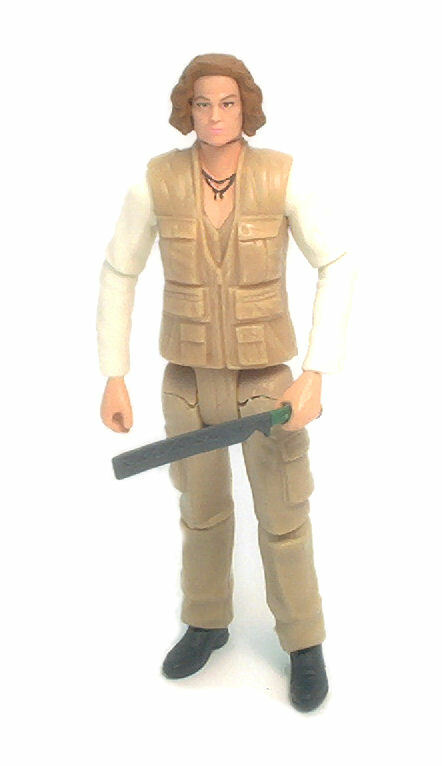 Sure, there are subtle hints at a female silhouette underneath all the khaki-ness, but pop off the head and the body could as well be used to portray necklace-wearing male. The head sculpt is excellent. 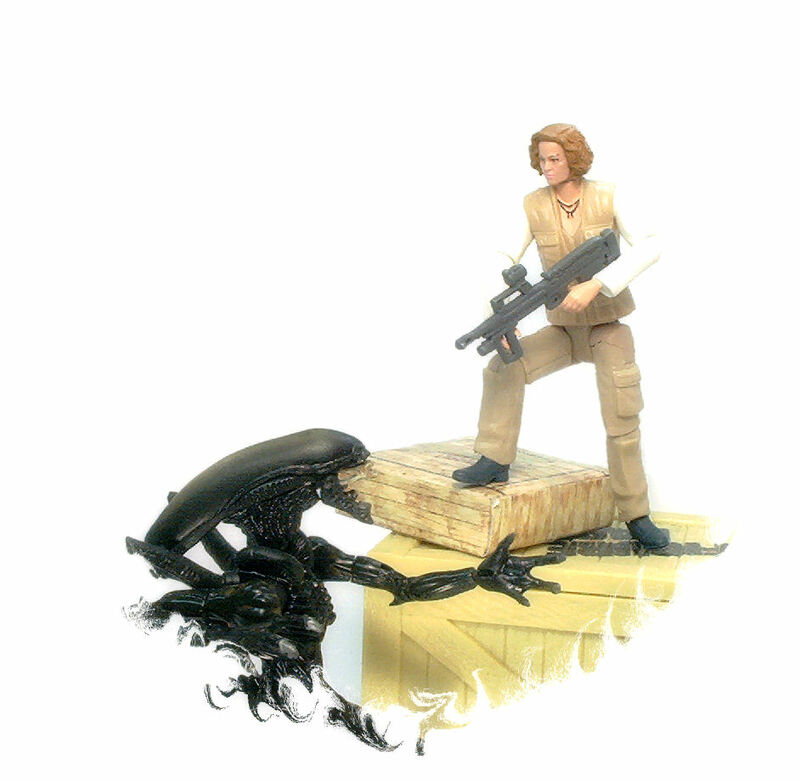 There is no denying the resemblance to actress Sigourney Weaver here, thanks to the digital scans provided to Mattel and the precise tooling used for the molds. Even the hair looks great, with the strands and curls clearly defined. However, as a whole, RDA Grace feels a little disjointed. Even though the sculpted clothing has a nice amount of detail and is consistent with style shown by the rest of the figures in the line, Dr. Augustine looks noticeably off due to the thickness of the neck stump sculpted at the top of her torso. Also, she could have used a belt piece like the one on any version of Norm Spellman or the Viperwolf Attack Jake to help conceal the gap so conspicuosly visible at a her waist. • Swivel neck. This gives full 360° rotation. • Peg & hinge shoulders. As good as one would expect, even though the arms rest at a slightly outward angle when pointed down. • Peg & hinge elbows. These bend to near 90° in either direction and can also rotate 360° sideways. • Swivel waist. Again, full 360° swivel. • Double hinged hips. These are designed after the same type of joint Mattel uses for their DC Super Heroes line, and allow the legs to extend sideways as well as rotate back and forth. 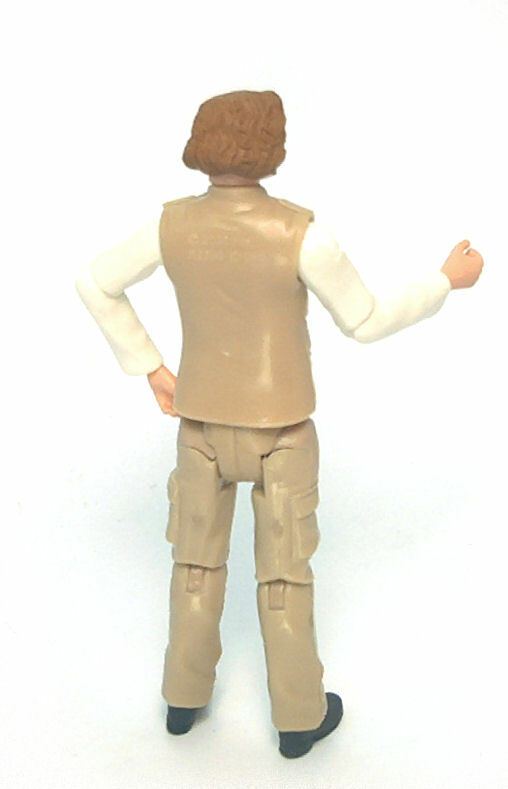 Dr. Grace is molded mostly in tan plastic (although the torso seems to be made from a slightly different shade of plastic than the legs); the arms are molded in white and the head is made from flesh colored plastic. The painted skin on her hands and neck do a good job on matching the face color, but other than the hair and the boots, there is very little paint apps going on. Again, most of the work seems to have gone to the head. The hair is painted a reddish brown hue that reasonably approximates how she looked on the film, and the eyes look clean and sharp. Even the lip color looks nice and obvious without too being too conspicuous. 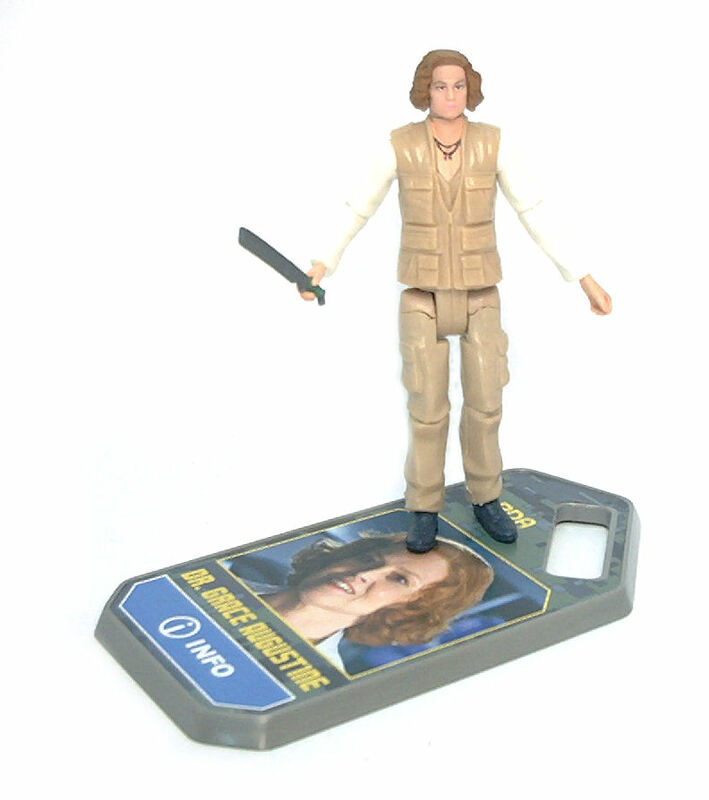 Being a pacifist, Dr. Grace Augustine comes equipped only with the same futuristic machete used for her Avatar version (as well as Avatar Norm). This is a flat, rectangular blade that displays a triangular groove pattern molded lengthwise on the side. The tool is made from gray rubbery plastic, with only the handle painted dark green. 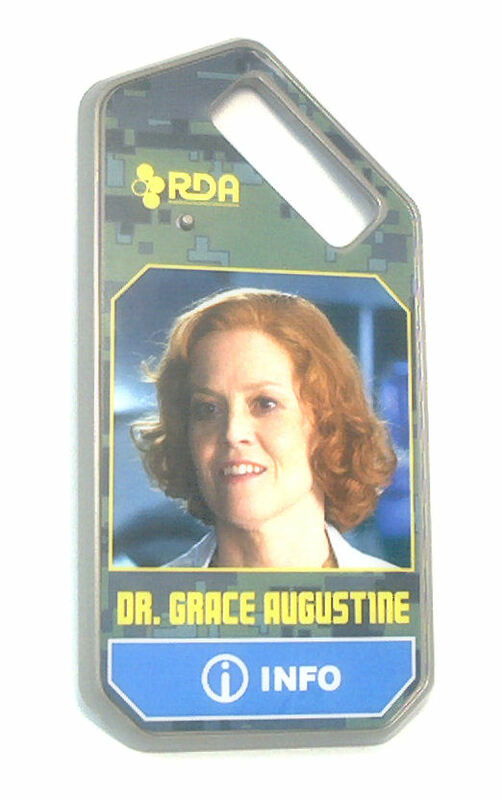 Dr. Grace Augustine also comes with the corresponding iTag base plate, only now it is molded in the square-ish, machined look of the dog-tags issued to RDA personnel on Pandora instead of the organic look of the Na’vi base plates. The iTag plate is molded in gray metallic plastic, but it still has a sticker on top with a portrait of Grace Augustine in her human form. The CGI model the plate generates after you log into Mattel’s Avatar site is that of an animated notebook that flips it’s pages automatically, stops at a sketch made of the Warbonnet Fern, a bioluminescent plant specimen from the Pandoran jungle, and then the sketch morphs into a full 3d model of the plant. Dr. Grace Augustine in her human form is definitely not as interesting to look at as her Avatar, but the figure is still well made and feels durable, despite the slightly odd proportions. Not a definite must have, but still a nice addition to my collection.